Parents across America are fighting for quality education. There are many options, but only one addresses the needs of the complete child: Comprehensive Education. What is that? It is a well-balanced curriculum like the curricula found in public schools that introduces every child to the ways of thinking in at least ten disciplines. It is a curriculum that begins pre-K and extends through the university level. It is a foundation approach that creates threads running through each level of schooling, becoming more pronounced and visible in secondary schools where the disciplines are studied separately, but in an interdisciplinary manner. Teaching is done on a continuum. The acquisition of learning skills and knowledge is not a one-time, one shot approach to educating a child. Taking a child out of this skills-building education approach has lasting damage. Even a “good” partial school breaks these threads and often is unable to provide the foundation skills every child needs. Most parents understand the importance of the K-12 approach to teaching and learning. Before removing their child from a public school with a comprehensive program, they explore other options their school district provides. (For example, changing teachers or exploring a different approach to mastery). Over 90 % of parents trust and want to save public district schools. The reasons for the war we have to win is that profiteers and ideologues have severely damaged our schools by financial starvation and campaigns of misinformation. The main reason for this is that they want access to the tax dollars we citizens pay for public education. They do not want community elected school boards. They want only minimal accountability and that only in areas where they assume they can provide better test scores. For-profit partial schools take approximately 30% out of the money the state provides for each child and puts it in private pockets. Yes, there are well-meaning people who really believe they can take over and do education better. None – I must repeat that, NONE – have demonstrated that they can provide quality comprehensive schools that work for the whole child. Think about your public school experiences. Outside of class, many other very important activities were supported by the school. Clubs played a major role in introducing students to different ways of thinking. Astronomy may not have been taught as a course but there was probably an astronomy club. If you were not out for a sport, there were intramural opportunities to learn games and sportsmanship. Work-study programs and field trips provided real adventures in the world outside of school. The school paper, the annual staff, theater, the arts, marching band, competitions like We The People, and so many more opportunities were available. Our public schools provide so much more. Combined with the threads of learning and thinking in many disciplines, these activities – including play and physical movement – must be present for all children. These are the components of comprehensive education. A majority of parents, teachers, and community members want to win this war. But how? We must stop assuming that people know what public schools do. Identify the strengths of your public schools. Their staff. Their graduates. The history of your district schools. Be able to explain how important our schools are to the community and what they do. Be able to explain the damage a partial school can do to children and to community. Prepare so that you can explain what teacher certification requires. How teachers train to be experts in their fields and understand how learning takes place. Be able to go into depth about how certified, experienced teachers identify learning styles, learning readiness, developmental readiness, and overcoming the effects of disabilities,poverty and other negative factors. These skills are not “gut feelings.” Untrained and un-vetted individuals are not good teachers. Nor would they be good doctors or good accountants. They may be caring people, but that doesn’t make them good educators. Teachers are trained and prepared to deal with the needs of children. It does not come naturally. Form a community education group working with the district administration, teachers, and key community leaders. Focus on educating your community. 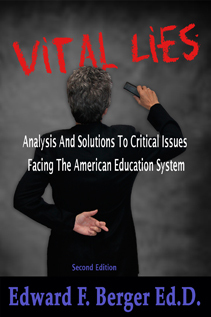 You must counter the misinformation and lies put out by those who intend to kill public education and the teaching profession. The most important rule that all must remember and follow is:Ownership through contribution. Get locals involved in the solutions and they will have ownership. Ownership is the basic element in contribution. Donations of time and money flow from ownership. Votes for overrides and bonds flow from ownership. I have never seen a program or ‘fundraising’ succeed if the people who are asked for help do not know they are an important part of the solution. Finally, fight like hell! You have the majority on your side. When you ask, you will find the community is already sold on quality schools. Educate and ask!Talk about children and their needs, not administration needs or operational costs. Those issues fall into line when you serve children. Look Away While Teachers Are Crucified.